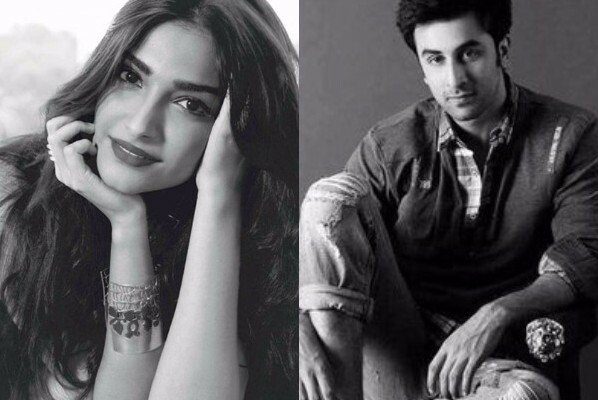 Sonam Kapoor and Ranbir Kapoor to be romantically paired in Sanjay Dutt’s biopic. Read details. Ranbir Kapoor and Sonam Kapoor made their Bollywood debut together in Sanjay Leela Bhansali in the year 2007. 10 years from that, the duo will once again reunite onscreen for Rajkumar Hirani in 2017! Oh we remember their debut. Not only did SLB make it grand for her wanted the world to see what talent landed on his doorstep. While the film didn’t do well, both actors definitely have reached places since then. Perhaps it was the director acting as a lucky charm for RK Jr and SK have had quite a run at the box office. This year, especially, has been splendid for both the stars. And guess what, it’s gonna be even better for they’ll soon be reuniting. This is probably the first time post their debut film that they’ll be coming together again in Dutt’s biopic. Oh but the good news doesn’t end there. We hear that the actors will be romancing each other in the film. Now would you believe that? Ever since Saawariya, we never saw them together but looks like after 10 years, they will be reuniting after all! A leading tabloid was stating quoting, ” Her (Sonam Kapoor) character is not reflective of any particular woman but is a fictional amalgamation of the many women Dutt dated through the 1980s and 90s.” As we know already, Dutt’s biopic has been on Rajkumar Hirani’s mind for quite a while now and for almost two years Ranbir has stated that he very much a part of the project. Although, this project has taken quite a while to finish with the pre shooting scenes but the biopic will finally go on floors next year. Sonam’s is a special appearance in the film. Not that she’s representing a specific lady in Dutt’s life but she’ll be forming many of them in one personality. Perhaps, this is to save the identity of all the women Sanjay has dated. As we already told you, RK Jr will be donning three looks in the film. 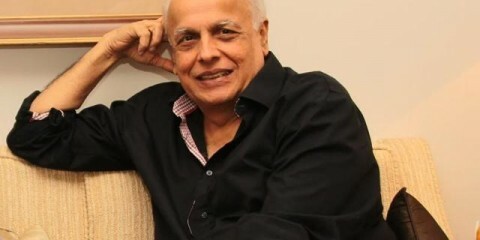 It was revealed earlier that he is going to go through massive transformation for the film. Of course, we won’t be able to see much of it but we just hope Kapoor keeps dropping hints of the same. It’s quite exciting to see both the Kapoors face camera once again, don’t you think? Yes, they’ve had a history and blah blah but you can’t deny that they did look fab when they made their debut. The fact that it’s gonna be a romantic angle between them itself calls for some excitement. A lot of actresses in the past were associated with this role. From Kangana Ranaut to Deepika Padukone to Katrina Kaif, all names were said to romance him in the film. However, at the end of the day, it’s Sonam who has managed to bag the role. Can’t wait to see these two sizzle on silver screen! 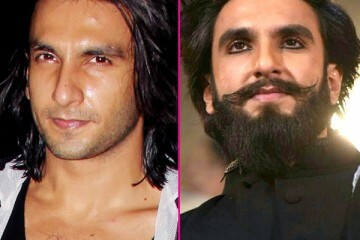 Ranveer Singh SHAVES off his trademark Padmavati beard; but are you digging his new look? Vote!